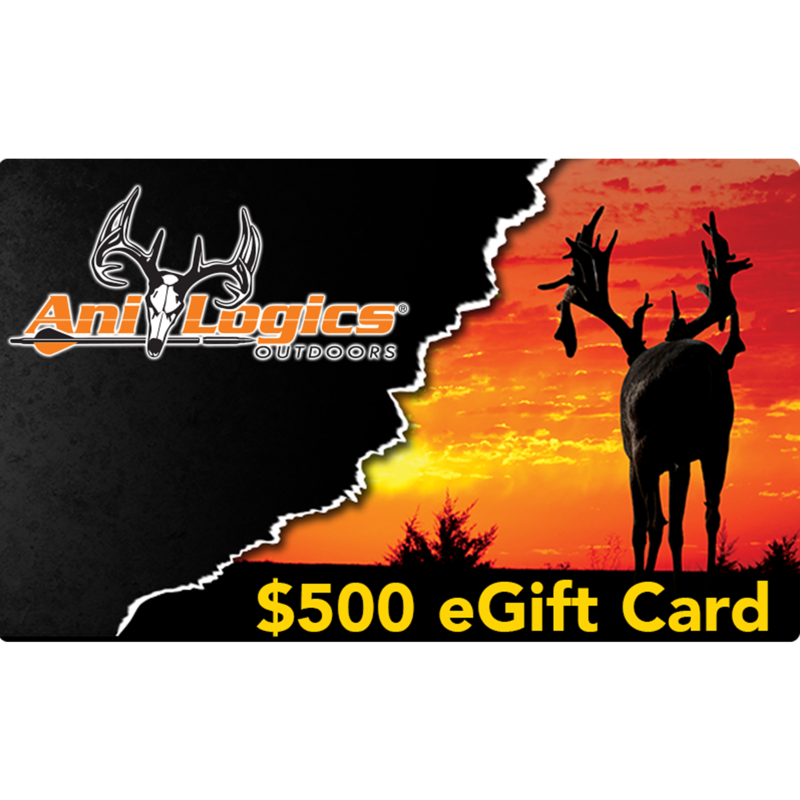 Looking to take your whitetails to the next level? 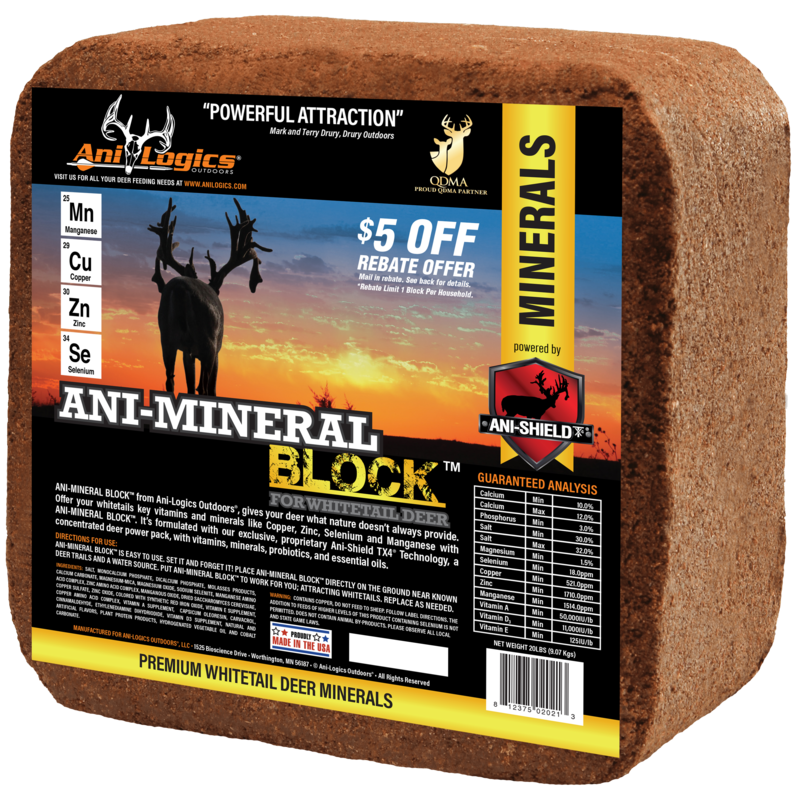 Providing key minerals can help deer reach their maximum genetic potential. 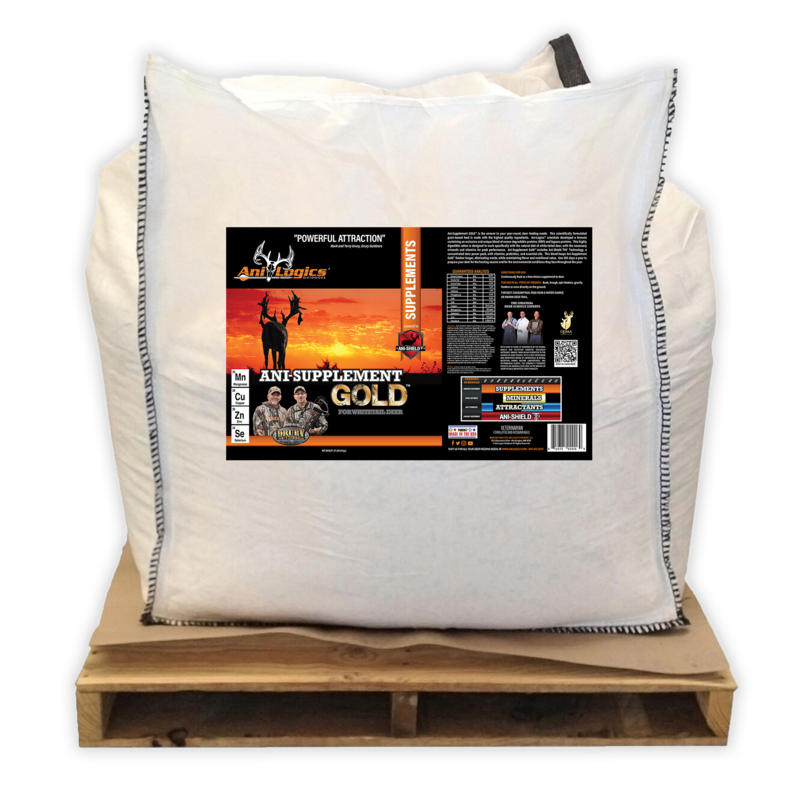 Mineral Dirt® 180 isn’t just another mineral product, it’s a scientifically-formulated mix that contains chelated minerals; the chelation process can increase mineral absorption rates by as much as 70%! 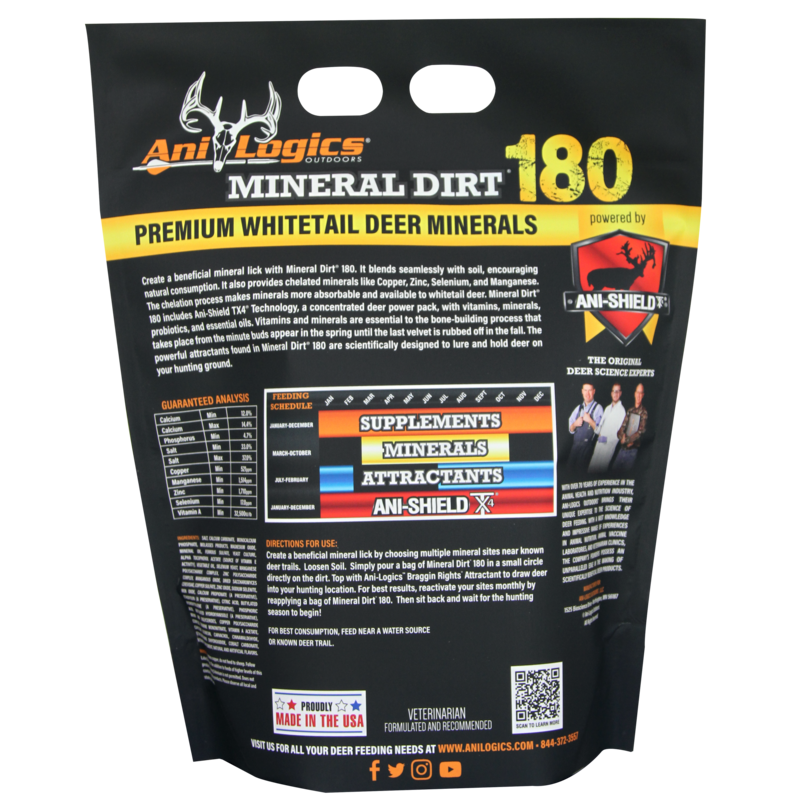 Ani-Logics™ studied free-range deer around the country and found 4 key micro minerals that help facilitate maximum antler growth that were lacking in the diets of whitetails, and included them in Mineral Dirt® 180! 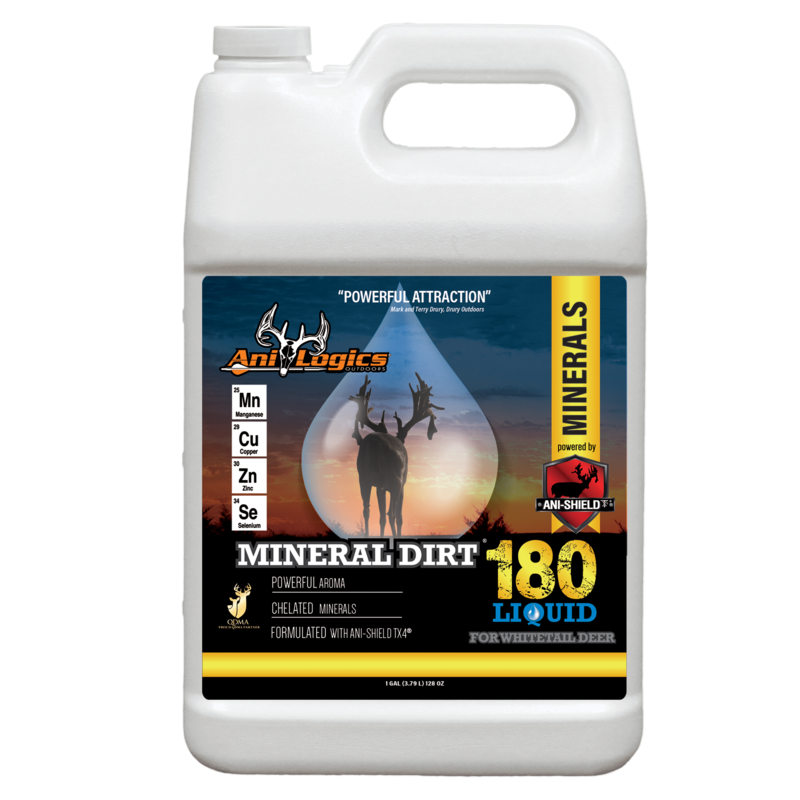 Mineral Dirt® 180 contains Ani-Shield TX4® Technology that provides nutrients your deer may be missing, like vitamins, probiotics, essential oils, and important bone-building minerals such as: Copper, Zinc, Selenium, and Manganese. 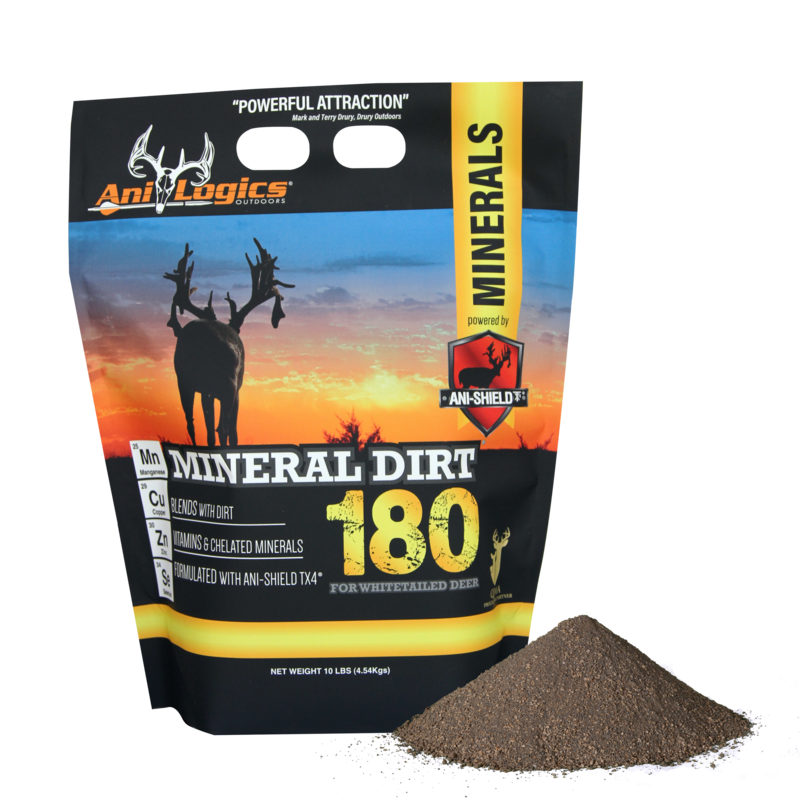 Long-range attraction and unbelievable palatability make Mineral Dirt® 180 even more appealing. $5 Off Mail-in Rebate, click here.